Will the New Jersey Devils look at trading Taylor Hall? 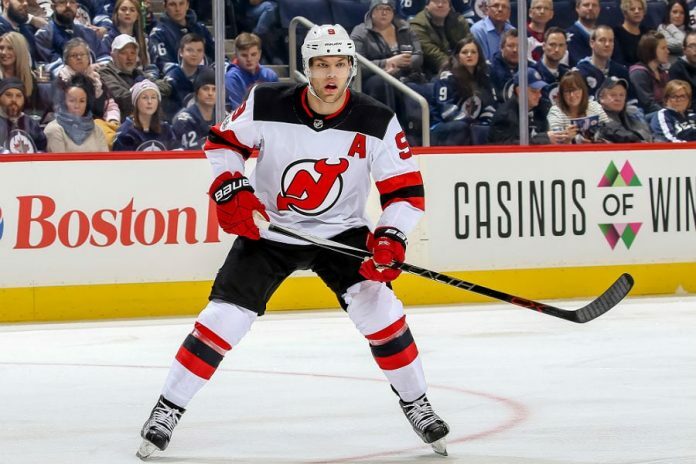 Will New Jersey look at trading Taylor Hall? Sportsnet: Taylor Hall has one-year remaining on his current deal before he is slated to become a UFA in 2020. Elliotte Friedman is reporting New Jersey might think of trading Taylor Hall now as opposed to waiting until the summer. The Devils do not want an Artemi Panarin situation on their hands next year if they feel Hall will not re-sign with the club. Devils GM Ray Shero told Friedman that there is zero chance Hall is traded at the 2019 NHL trade deadline but never mentioned of not trading him this summer. Hall currently has a $6-million salary cap hit and remains one of the top bargains in the NHL. Will the Florida Panthers trade Derick Brassard? Sportsnet: Nick Kypreos reports that it is likely the Florida Panthers will trade recently acquired forward Derick Brassard before the NHL Trade Deadline. Kypreos stated the Columbus Blue Jackets as one team that could potentially be interested Brassard. The Panthers are interested in Artemi Panarin and could package Brassard as part of a trade. More accustomed to a top-six role, Brassard had struggled offensively as Pittsburgh’s third-line centre with just 15 points in 40 games this season.